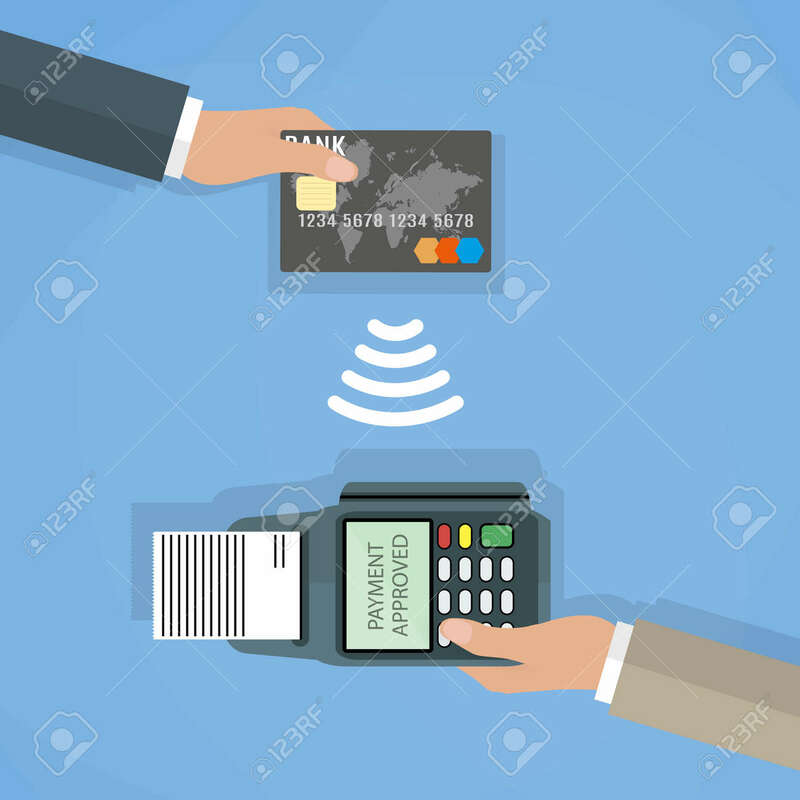 Pos Terminal Confirms The Payment By Debit Credit Card. Vector.. Royalty Free Cliparts, Vectors, And Stock Illustration. Image 51084403.